Dave Rubin delivers this week's Direct Message, discussing his reasons for interviewing controversial author and activist Tommy Robinson. Stay tuned for more clips coming today 2/3, tomorrow 2/4, and the full episode Friday 2/5. I'm going to be sitting down with Tommy Robinson this week. 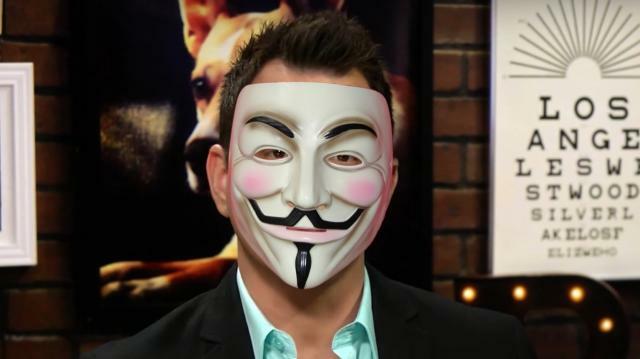 To say Tommy is a controversial person would be putting it mildly -- you only have to glance at his Twitter mentions to see how some see him as a modern day hero defending western society, while others seem him as a racist thug. Thankfully, I don't get all my information from Twitter and neither should you. Tommy is the co-founder of the English Defense League, a movement that opposes Islamism and Sharia law in the UK. He left the EDL a few years ago after connecting with Maajid Nawaz's Quilliam Foundation because he felt the EDL had become too extreme. Now, Tommy is part of Pegida UK, a subset of the bigger European Pegida movement, which has the stated goal of preventing the Islamification of our countries. Basically, Tommy thinks the UK and now all of Europe are en route to becoming Islamic countries. Tommy reached out to me about two months ago to see about being a guest on the show. Before I said yes, I did a bit of soul searching. As you know, I'm beyond fed up with the regressive left's labeling of everyone a bigot or a racist, but in Tommy's case, are they right? And if the Regressives are, why should I even talk to someone with racist views?There's no doubt Tommy spends most of his time talking about the dangers of Islam -- he certainly isn't hiding that -- but are his motives actually based in bigotry? It wasn't just those questions that had me unsure of whether to talk to Tommy, though. There was actually something else at work and something that really exposes the rot that the Regressives are causing in our society: part of me was afraid that if I spoke to Tommy, regardless of whether he is really a bigot or not, that I would also be labeled a bigot, too.Let me repeat that: I feared that just by having a conversation with someone, just by hearing their views as I do on this show every week, I would then get one of these awful labels these people throw around like candy. After a couple days of thinking, I realized not only did I have to do the interview, but my fear was the exact reason I had to do it. 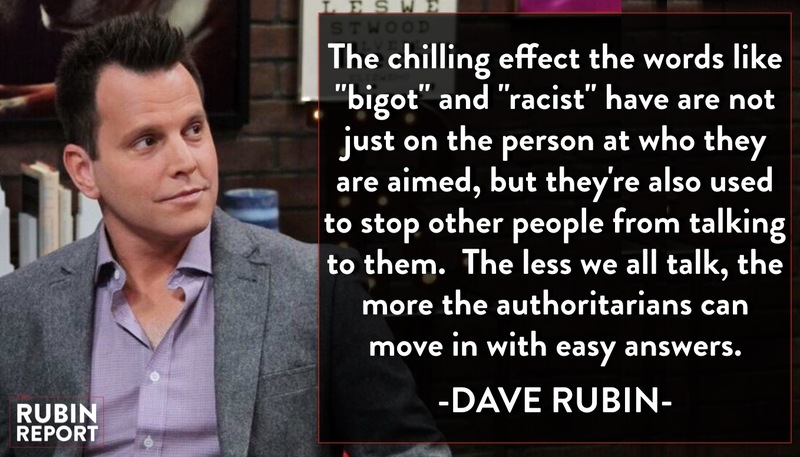 The chilling effect the words like "bigot" and "racist" have are not just on the person at who they are aimed, but they're also used to stop other people from talking to them.The less we all talk, the more the authoritarians can move in with easy answers. Once I really wrapped myself around that, it was a no-brainer. Like all my guests I'll let Tommy's ideas be heard, and you, the audience, will be the judge. Ironically, if the left had been more honest about the dangers of Islamism all along, I would feel less of a need to have conversations like this, but the left refused to, so, hear we are. If his ideas are good then let them spread. If they aren't, let them be beat by better ideas. As Douglas Murray said on Sam Harris' podcast a few weeks ago, "It's too late to be willing to be blackmailed by people who are fundamentally insincere in their insults." That is absolutely how I feel about labels, or pretty much any other nonsense coming from people who would stifle debate rather than have it. This past weekend, I re-watched one of my favorite movies: V for Vendetta. In V's powerful speech to all of London he says, "And where once you had the freedom to object, to think and speak as you saw fit, you now have censors and systems of surveillance coercing your conformity and soliciting your submission. How did this happen? Who's to blame? Well certainly there are those more responsible than others, and they will be held accountable, but again truth be told, if you're looking for the guilty, you need only look into a mirror." It's getting high time we all look in the mirror and decide what we believe in.